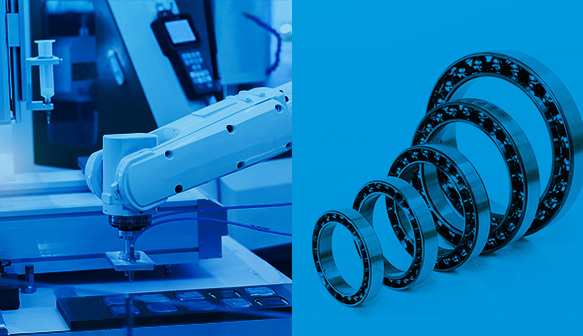 JTEKT's bearings help to extend the life of heavy machinery and vehicles that operate in the harsh environments related to the fields of construction, transportation and agricultural machinery, such as excavators, bulldozers, forklifts, cranes, tractors and combined harvesters, by being able to withstand heavy loads, dust, impact, mud, water and so on. 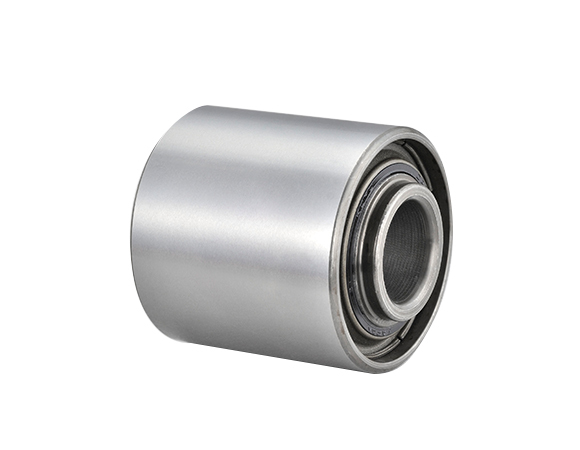 Bearings of crawler guides in hydraulic excavators feature resin spacers and therefore offer the features of being thinner and higher capacity. 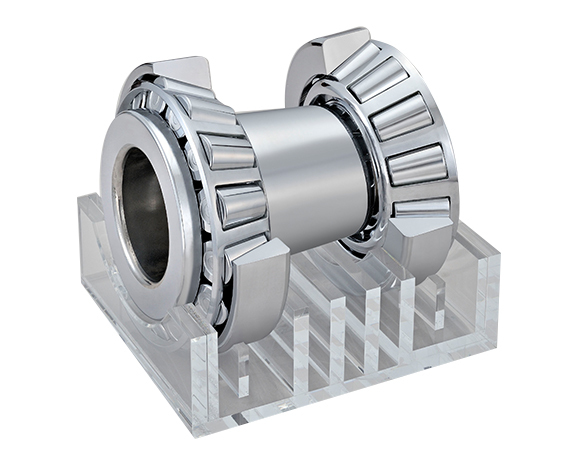 The differential pinion gears and reduction gears of large dump trucks adopt bearings with enhanced mountability due to being integrated with the inner/outer ring spacers. 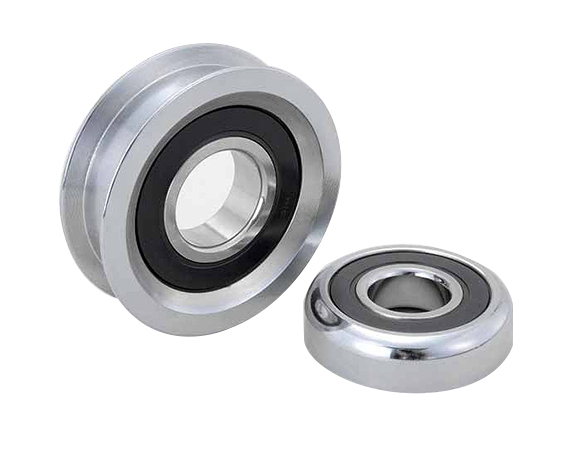 A special coated bearing is adopted for supporting the center hinge. 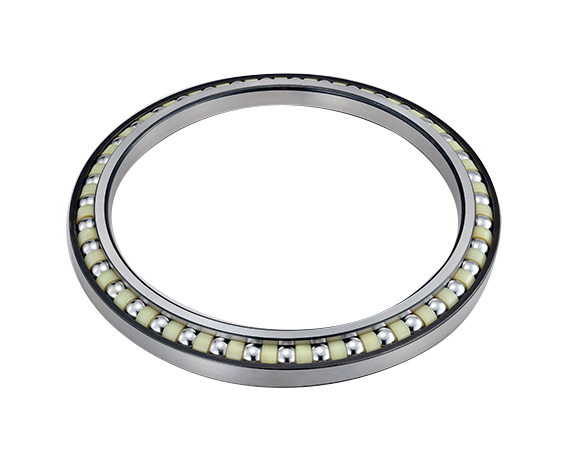 Bulldozer crawlers adopt long-life bearings which have been treated with a special carburization heat treatment. 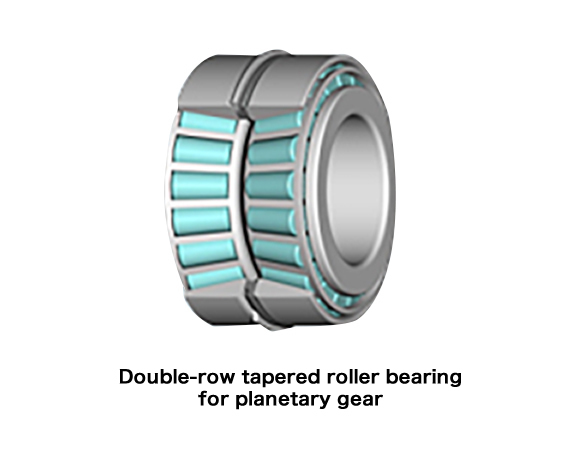 Tractor wheels adopt bearings with enhanced dust-resistance and sealing performance. The mast of a forklift, which is raised and lowered while carrying a load, adopts a ball bearing with sufficient strength and impact resistance due to special heat treatment. There are also bearing products available that have undergone corrosion-resistant treatment to prevent corroding when used at docks which are exposed to sea breeze and seawater. 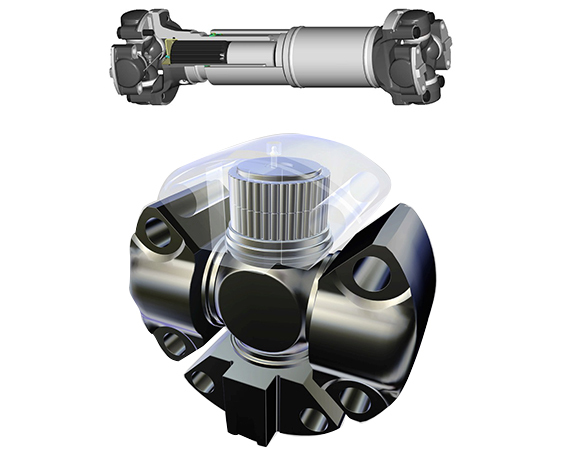 It is important for the drive shafts of construction machinery to be maintenance-free, therefore countermeasures are implemented to minimize wear of moving parts and the penetration of muddy water. 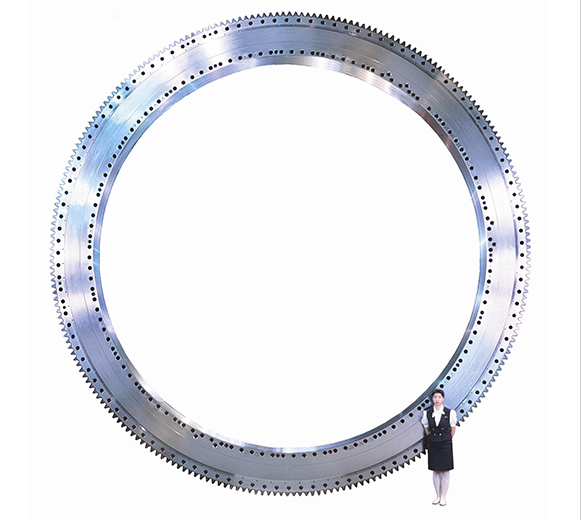 The rotating sections of tunnel excavator cutting tools adopt bearings as big as over 5 meters in diameter. 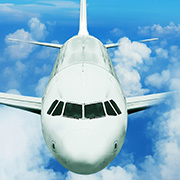 Due to their size, it is difficult to transport these bearings in a completed state, therefore they are transported in separate pieces and assembled at the construction site. 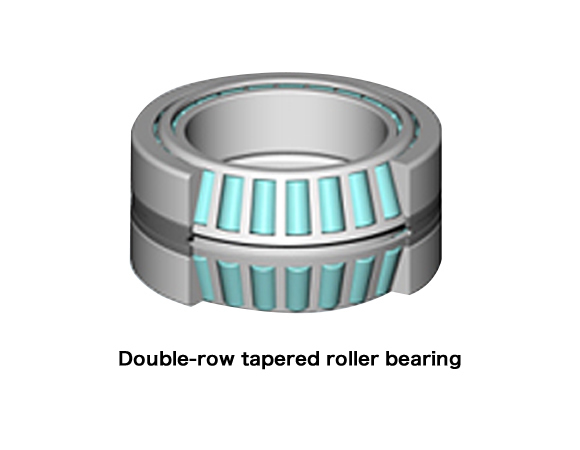 As such, these bearings are designed in a way to ensure disassembly and assembly can be performed with sufficient accuracy and high reliability.